Success! Pree from Thailand raised $1,500 to fund spleen surgery. Pree's treatment was fully funded on August 22, 2018. His stomach is no longer swollen, and he can eat food comfortably now. 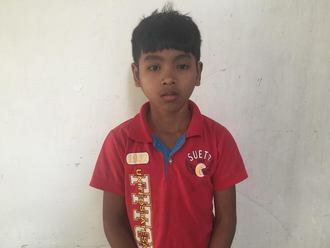 Pree is a seven-year-old boy who lives with his parents and grandmother in Thailand. 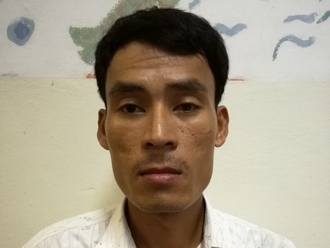 His family is originally from Bago Division, Burma. His parents work in a factory in Mae Sot. When Pree was three years old, his grandmother noticed that he was very pale and that his stomach was swollen. He visited several hospitals and received medications and blood transfusions, but his symptoms did not improve. Finally, he was referred to our medical partner’s care center, Mae Sot Hospital. Currently, Pree feels very tired and does not have an appetite. He has missed many months of school due to his illness. He has been diagnosed with thalassemia and needs to undergo a splenectomy, which is scheduled for July 9 and will cost $1,500. “When I grow up I want to be a doctor, so I can take care for my mother,” he says. Pree's case was submitted by Bue Wah Say at Burma Children Medical Fund in Thailand. Pree was submitted by Bue Wah Say, Project Officer at Burma Children Medical Fund, our medical partner in Thailand. Pree received treatment at Mae Sot General Hospital. Medical partners often provide care to patients accepted by Watsi before those patients are fully funded, operating under the guarantee that the cost of care will be paid for by donors. Pree's profile was published to start raising funds. Pree's treatment was successful. Read the update. Pree's treatment was fully funded.